More than $10 billion in investment was made across 924 deals in AgriFood last year, and it’s clear that this space is a veritable hot-house that's only going to keep on flourishing. Novel farming systems have emerged as an especially high-growth corner of ag-tech investment, with AgFunder reporting that investment jumped 233% in 2017, or by $652 million across 57 deals. 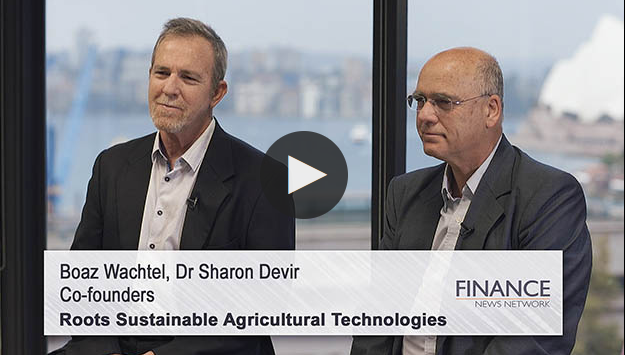 One nimble ag-tech innovator sitting at the forefront of this movement is Roots Sustainable Agricultural Technologies (ASX:ROO), whose two IP-protected, disruptive technologies have been sparking attention from investors and consumers alike. ROO is squarely focused on developing, producing and commercialising technologies that directly address critical challenges faced by modern agriculture, including water shortages, food production security, extreme weather conditions and global warming. Since we last caught up with this ASX junior, ROO has been ramping things up with much more in the pipeline as it looks to increase sales and expand into new territories, as well as commercialise its Irrigation by Condensation (IBC) tech by the end of the year. But that’s just a taste of what ROO has in store for the months to come. Having only listed on the ASX in December last year, ROO is already selling into China, a country that accounts for nearly 550 million tonnes of total global vegetable production. Following on from its strategic US$19 million conditional exclusive Chinese distribution agreement with major ag-tech integrator, Dagan Agricultural Automation, ROO shipped the first of its patented Root Zone Temperature Optimisation (RZTO) products. RZTO is the only two-in-one, low energy, root zone heating and cooling system on the market and these features have seen it applied in a range of pilot and commercialised plants in a number of countries. This technology has significantly increased crop yields by up to 80%, simultaneously cutting energy consumption by 60-80%. 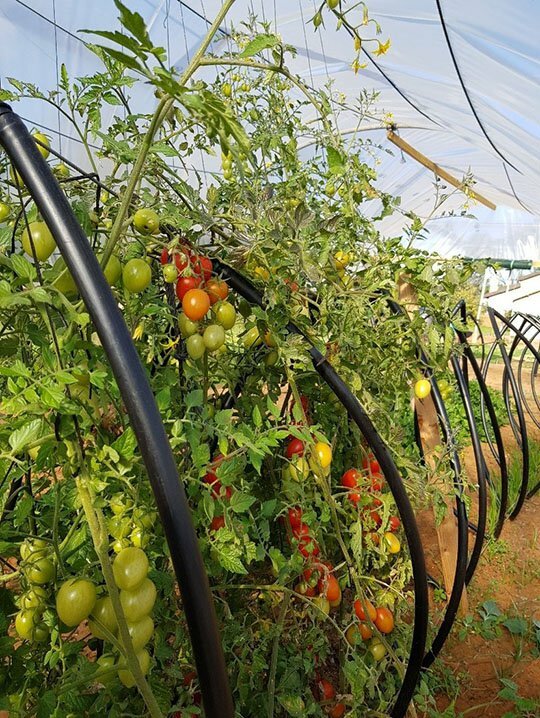 The Dagan deal is for the installation and use of RZTO technology to heat and cool the roots of eight crops such as vegetables, herbs and flowers. The initial shipment, including specially formulated pipes for RZTO, is the first of eight which contain the patented Roots equipment and kits to be installed in all eight greenhouses for the eight crops in the project. Of course, it should be noted that as a newly listed ASX stock it remains speculative and investors should seek professional financial advice if considering this stock for their portfolio. Continuing this momentum, ROO has also had some excellent results from its winter pilot study in Israel’s south western region, where the roots of basil plants — traditionally only grown in the summer — were heated using RZTO technology during the winter. This study saw crop yield increased by 66% and average plant size boosted by 35%. Here, ROO also shortened the growing cycle and improved the shelf life of the basil. 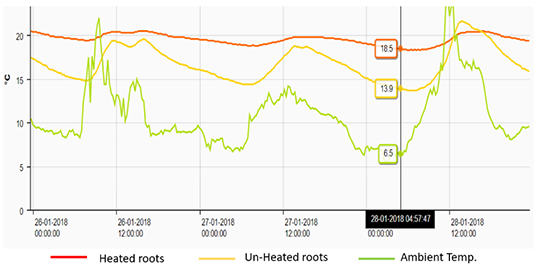 Using the Ground Source Heat exchange (GSHE) version of the RZTO system, the basil roots were heated an average of five degrees warmer compared with control plantings to achieve these results. This successful pilot study amply demonstrated the benefits the GSHE system can have for farmers in locations that are subject to wide temperature variations. It enables them to dramatically increase yields and profits through more efficient crop management, while at the same time using substantially less energy. In the wake of its success with basil, ROO is now also conducting for the first time a proof of concept on avocado trees over a four-month period in Kibbutz Eilon. If all goes according to plan, this will provide further evidence of the diverse range of crops that can benefit from the RZTO system. In some of its latest news, ROO has informed the market that it has now installed an advanced, hydroponic, nutrient temperature-controlled greenhouse based on its proprietary RZTO technology. ROO will develop the greenhouse in collaboration with Teshuva Agricultural Projects (TAP), a leader in turn-key greenhouses and hydroponic nutrient film techniques (NFT), and will unveil the greenhouse in May at one of the world's leading agriculture exhibitions, Agri-Tech Israel 2018. All in all, this ASX junior has made considerable headway in a short period of time, and is on a clear pathway to commercialisation. ROO is steadily coming into its own as a leading voice in the thriving ag-tech space. And with a host of significant milestones to transpire in the not-so-distant future, this rapid growth is only going to accelerate further. Harnessing years of experience in the world-class Israeli tech sector, and armed with the potential to address critical real-world agricultural problems, it may not be long before this rapidly blooming $24.7 million ag-tech stock leaves its small-cap days far behind. 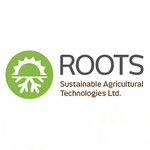 We first introduced you to Roots Sustainable Agricultural Technologies Ltd (ASX:ROO) in January with the article, This Israeli Ag-Tech Stock Has Technology to Increase Crop Yields by 80%: Signs First Revenue Generating Deal in China. In that piece, we took an in-depth look at ROO’s two core IP-protected technologies — RZTO and IBC — as well as the sizeable advantages these solutions offer in contrast to existing options on the market. We also explored ROO’s razor-sharp edge as a distinctly unique innovator, having developed the first two-in-one, low-energy, environmentally sustainable root zone heating and cooling system. As we explored, the RZTO technology, which is already in commercial use across Israel, Spain and soon in China, offers game-changing opportunities to farmers facing challenging environmental conditions and price pressures. This will be made evident after the company penned a letter of intent (LOI) with Teshuva Agricultural Projects in what should be a pivotal partnership. The end result of this partnership will help farmers produce better quality crops, maximise production volume and minimise costs, while stabilising nutrient temperatures year-round, based on ROO’s patented RZTO and monitoring and control operating system. The joint development will be sold worldwide as a self-assembled, end-user product. This partnership will enable farmers to tap into the existing, rapidly growing global advanced-hydroponics market with the company now able to address a major problem NFT farmers face in stabilising nutrient temperatures and maintaining them at an optimal range year-round. Of course, as an early stage company, investors should take all publicly available information into account and make a cautious investment decision with regard to this stock. ROO’s IBC technology, meanwhile, is a complementary solution to RZTO that could facilitate food production and positively impact the entire food chain. IBC is now in its final stages to become a solar and wind-operated, standalone system that allows farming in remote locations that were previously unsuited to food production due to water shortages. ROO has completed proof of concept for IBC, where a number of crops, including tomatoes, cucumbers, spinach, lettuce and wheat, were grown only with condensation formed of the humidity in the air. We’ve mentioned ROO’s impeccable pedigree before, but it’s worth reiterating again here. This ASX junior is a graduate of the Israeli Chief Scientist’s prestigious technological incubator program, and is backed by a seasoned team of industry heavyweights. A new addition to this team comes by way of former Australian ambassador to Israel, Dave Sharma, who has hopped aboard the ROO train as a consultant. Sharma has extensive networks across the Australian government and private sector. His strong ties in both Israel and Australia make him an apt choice for ROO, given its current expansion internationally and in Australia from its Israeli base. Sharma brings to ROO cross-border connections and synergies — especially critical, given that ROO’s disruptive products are needed in many countries struggling to deal with agricultural sustainability and productivity brought about by climate change, loss of arable land and water scarcity. Adding further clout to its team, ROO also recently assembled world-class scientific advisory board featuring three key agricultural scientists from Israel and the Netherlands. The board comprises Professor Raoul Bino, Professor Haim Rabinowitch and Professor Uzi Kafkafi, who are internationally recognised opinion leaders in their respective specialty areas across the agronomy space, bringing to ROO a breadth of experience in plant physiology, genetics, cell biology, soil and roots science. The trio will provide scientific guidance to ROO on the development programs for its two proprietary technologies. ROO’s recently completed basil pilot study has yielded some exceptional results. This pilot was conducted in winter over 39 days between December 2017 and February 2018, on a 50-acre organic farm in South west Israel. 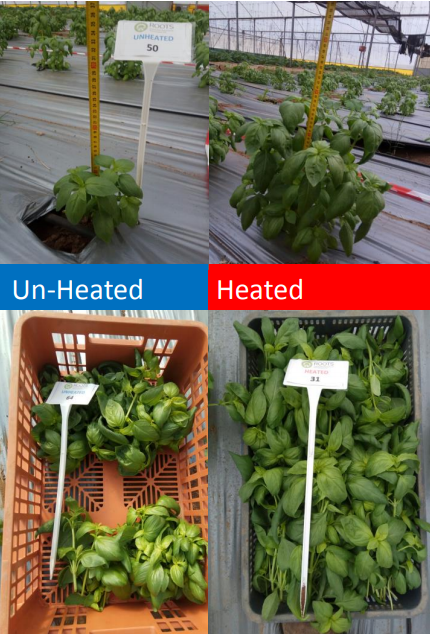 Using the GSHE version of the RZTO system, the basil roots were heated by an average of five degrees compared with control plantings to achieve these results. An important thing to bear in mind here is that basil is usually only grown in the summer months, requiring a high temperature for normal development. Bringing the RZTO system into the mix, however, heating the root zone significantly improves the plant’s growth rate, and increases the crop yield during the cold winter months. Encouragingly, this process increased yield and average plant size by 66% and 35% respectively. These results eloquently demonstrate increased benefits of ROO’s RTZO technology for farmers in widely variable climates, enabling them to markedly increase yields and profits through more efficient crop management, while at the same time using substantially less energy. Bear in mind also that RZTO can be applied to a range of key target crops, including vegetables and fruits, flowers and herbs — even medicinal-grade cannabis. Building on these impressive results, RZTO is hoping for something similar as it now conducts a proof of concept on avocado trees. This will take place in a plantation that’s in a relatively cool area of northern Israel, Kibbutz Eilon. For four months, the roots of avocado trees will be heated by the RZTO system. And given its recent success with basil, this could be serious news for ROO. In more good news, ROO has made the first shipment of RZTO technology to China. This comes on the back of a conditional US$19 million exclusive Chinese distribution agreement with Dagan Agricultural Automation, which we looked at in detail in our last update. This deal allows Dagan to exclusively sell Root’s RZTO technology and associated products for three years throughout China — the world’s largest vegetable production market. While China is a powerhouse in terms of agricultural production, it faces myriad challenges. It has to feed nearly three times the number of people per unit of land as the rest of the world. On top of that, there’s a newly wealthy middle-class demand for more dietary protein. This is where RZTO technology comes into play, bearing in mind the impressive 80% crop yields ROO has achieved. These pipes are manufactured by ROO and its manufacturing partner, Weisman Friedman Group. ROO’s Green Root Zone pipes are the latest result in its ongoing R&D efforts to maintain its leading status in agricultural technology innovation. 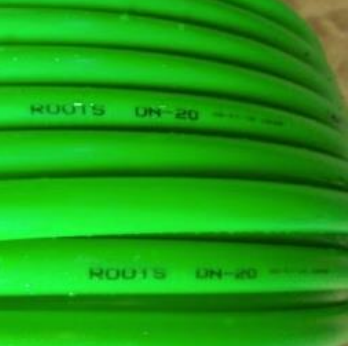 ROO is hoping for the Green Root Zone pipes to set a global unified green colour standard for root zone heating and cooling pipes. Dagan will use RZTO technology to heat and cool the roots of crops such as vegetables, herbs and flowers. ROO’s RZTO system will play a key role in the project, amplifying its ability to increase crop yields by addressing local land and water resource constraints common in the region. This project is the start of ROO’s binding exclusive distribution agreement for the China market with Dagan, which is conditional on $US19 million in sales over five years (3 + 1 + 1). If all goes well, this agreement allows for a further two-year extension, as well as potential for exclusivity expansion to other lucrative markets. RZTO is already in use across Australia, China, Israel and Spain, with more in the works. On top of that, ROO has completed proof of concept for its IBC technology, with commercialisation set to kick off at the end of the year. Also in ROO’s arsenal are a range of other IP-backed products, which are at the R&D and pilot production phase. 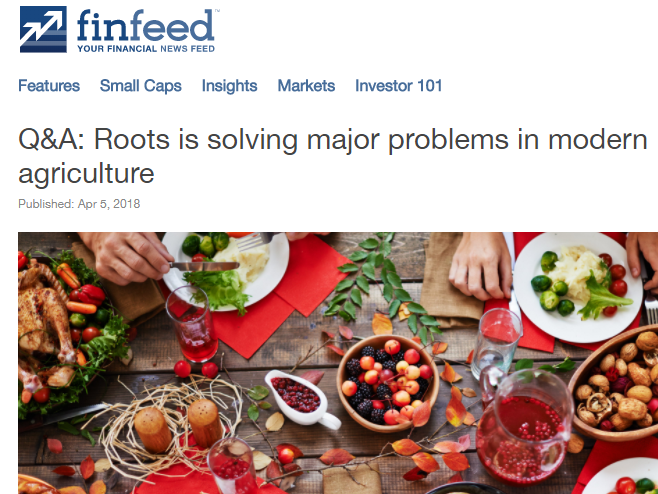 Given its expansive global footprint and the accelerating worldwide interest in its two core innovative technologies, ROO is gaining serious traction in the thriving ag-tech space, making this $24.7 million stock an astute entry point into a sector that’s only set for more rapid growth. Although, it is early stages and investors should seek professional financial advice if considering this stock for their portfolio. ROO is looking at a busy schedule in the months ahead, with a host of activity planned, including completion of its Israeli demo site and finalisation of its solar and wind-based stand-alone IBC system, not to mention the next phase in its China installation. All of this translates into a torrent of news flow for ROO — meaning we’ll certainly be keeping a keen eye on this ASX ag-tech disruptor in the months to come.